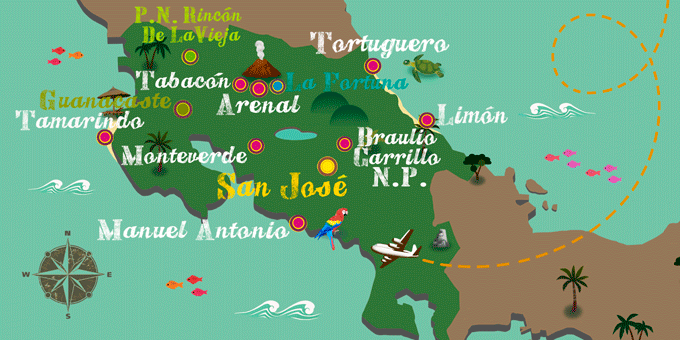 Costa Rica is a good destination to buy authentic crafts. Many of the products that can be found in the markets of large cities and small coastal towns stand out for being handmade and for their good taste. Typical products include masks, tapestries, paintings, and sculptures. The most common material utilized to create these pieces is usually wood, although you can also see collections of jewelry made in gold or silver. The ideal place to go shopping in Costa Rica is San José, its capital. There, in addition to locations such as the Central Market, there are also very popular handicraft shops such as the Namu gallery, Chietón Moren or the Aranjuez green fair. If you are interested in Costa Rican ceramics, then do not miss the Ecomuseum of the Chorotega pottery of San Vicente. Due to its rich cuisine, Costa Rica is also a good country to buy coffee, liquor, and other delicacies. Although bargaining is possible in some street stalls, in many of the establishments the prices are fixed and there is not much room to negotiate.